Astrophysicist Reggie Straifer has discovered a mysterious object in deep space: a strange star, blinking in a seemingly impossible pattern. 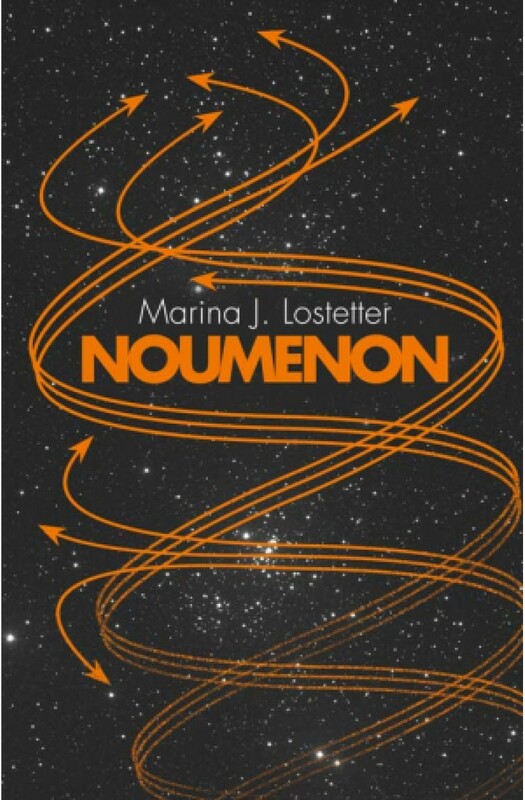 As humanity plans its first adventures beyond the solar system, Reggie and thousands of others join NOUMENON – a convoy of nine ships on a mission to reveal the origins of this anomalous star. Is its strobing a natural phenomenon or something far more alien? NOUMENON’s voyage will take centuries. To preserve their talents, the convoy is populated by clones of its original crew. Born and reborn in a sealed society with a single purpose, every individual and every generation must come to terms with inheritances that go far beyond DNA. Marina J. Lostetter’s stunning debut explores the wonders of deep space and the obsessions, fears and desires of humanity’s first interstellar travellers as they speed toward a single blinking star and a discovery beyond their wildest imaginings.